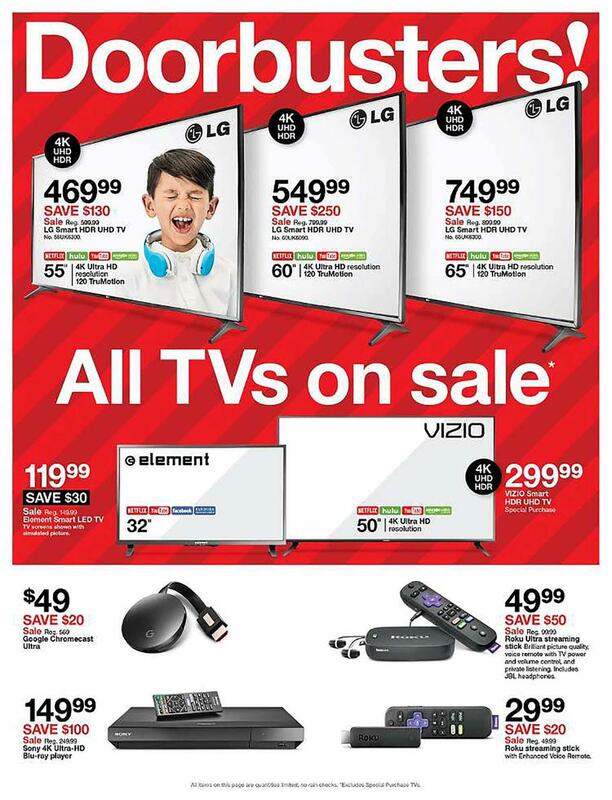 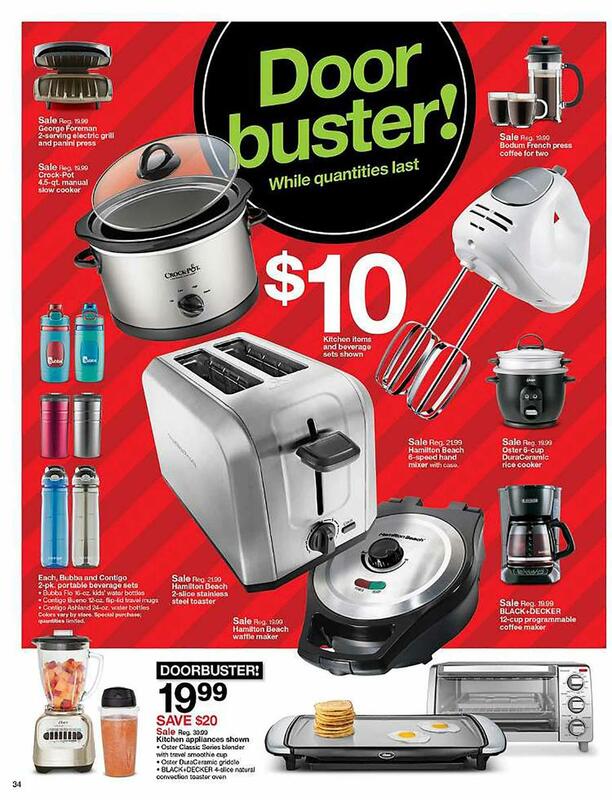 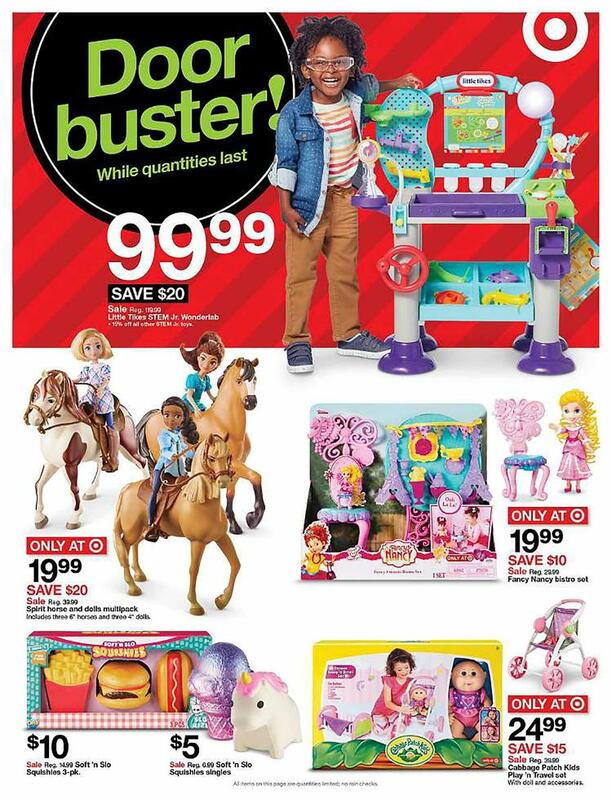 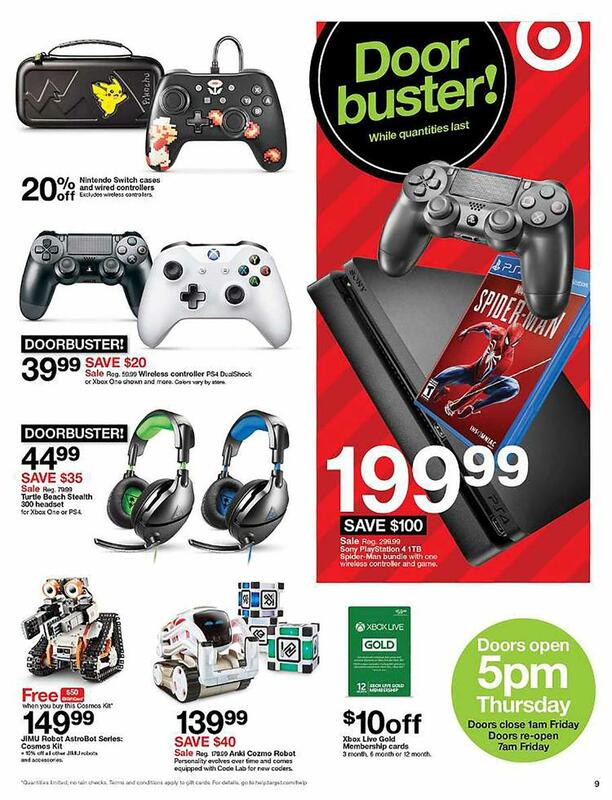 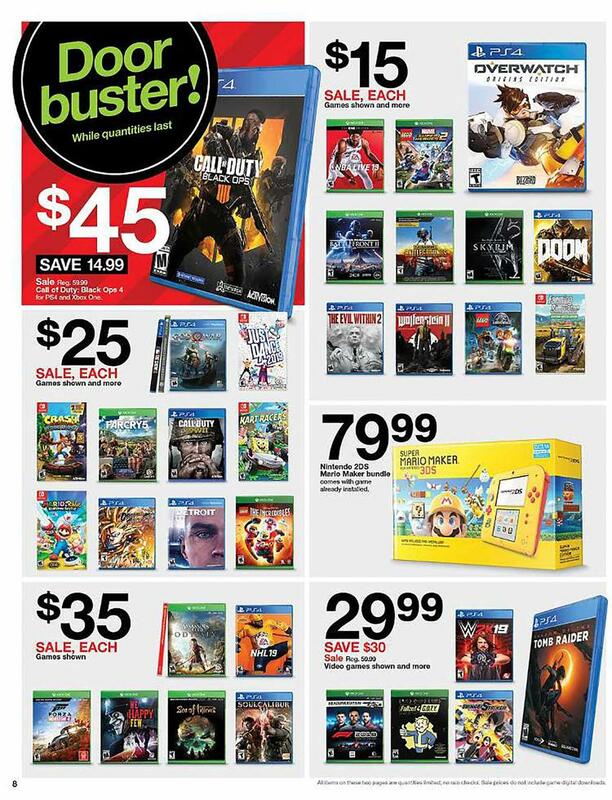 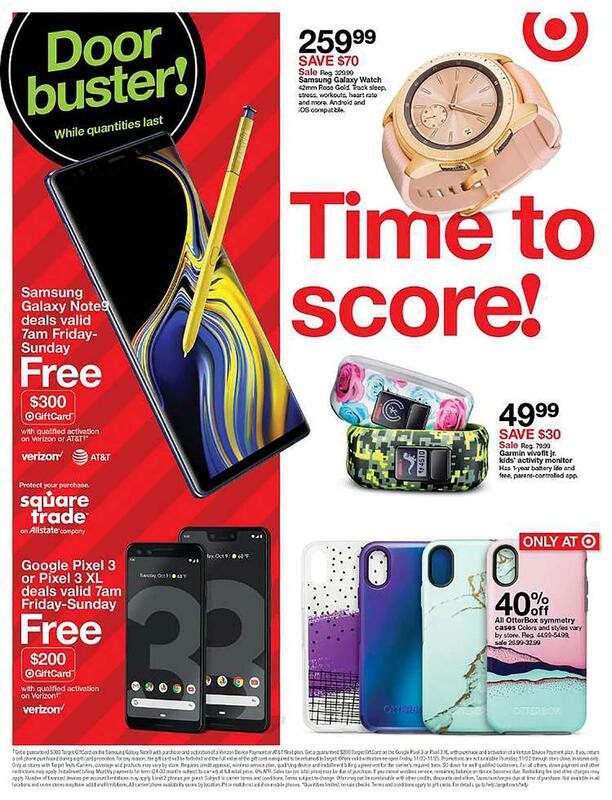 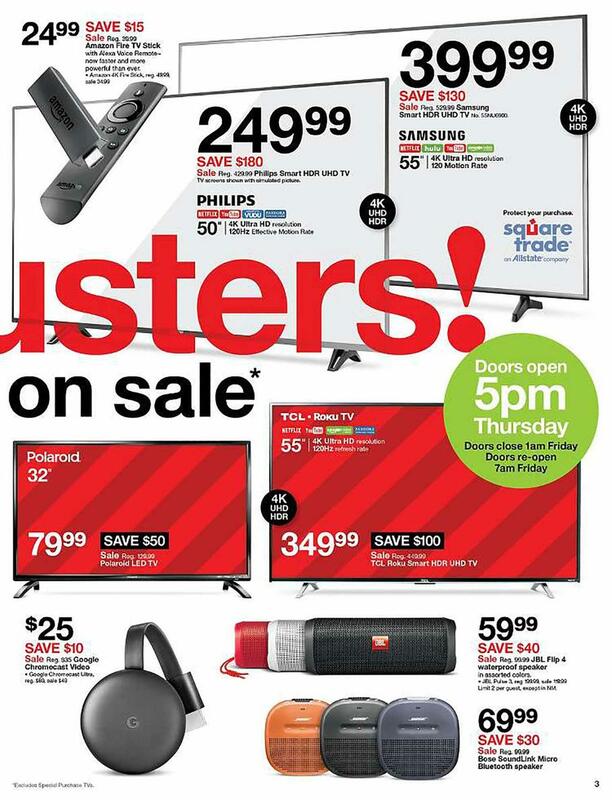 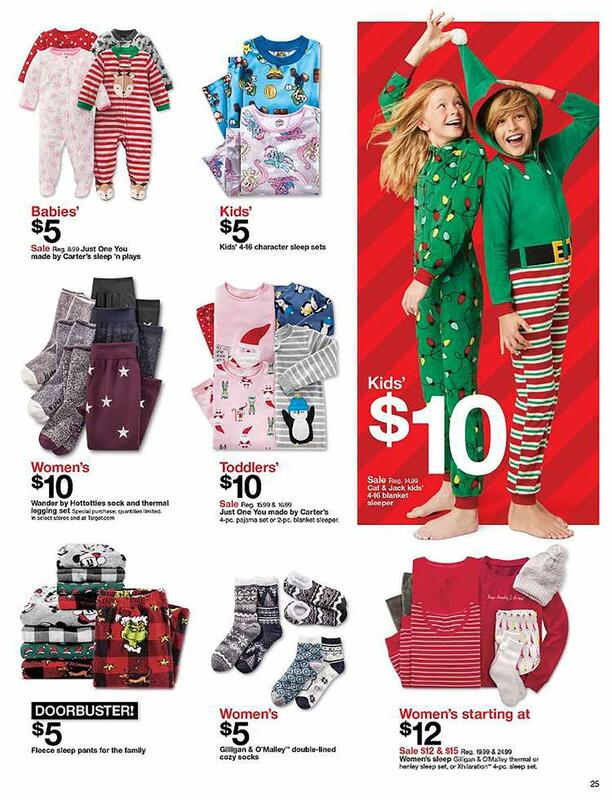 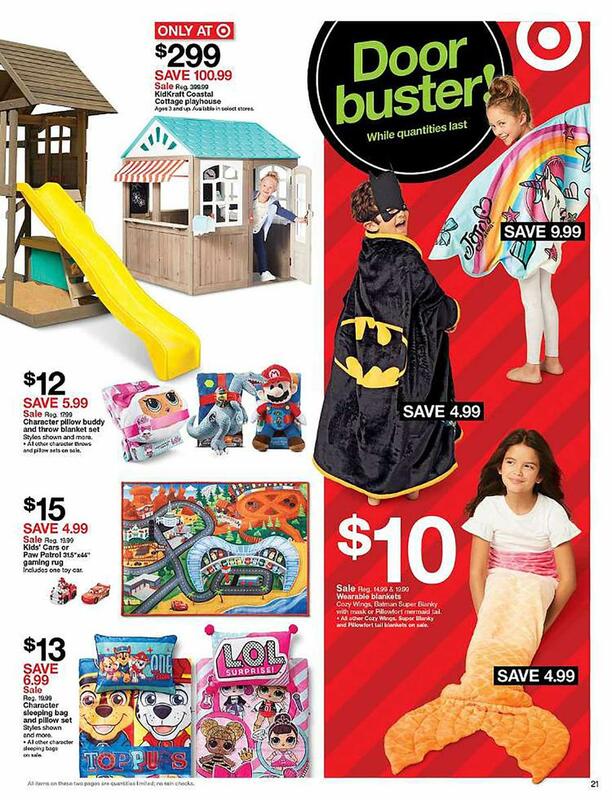 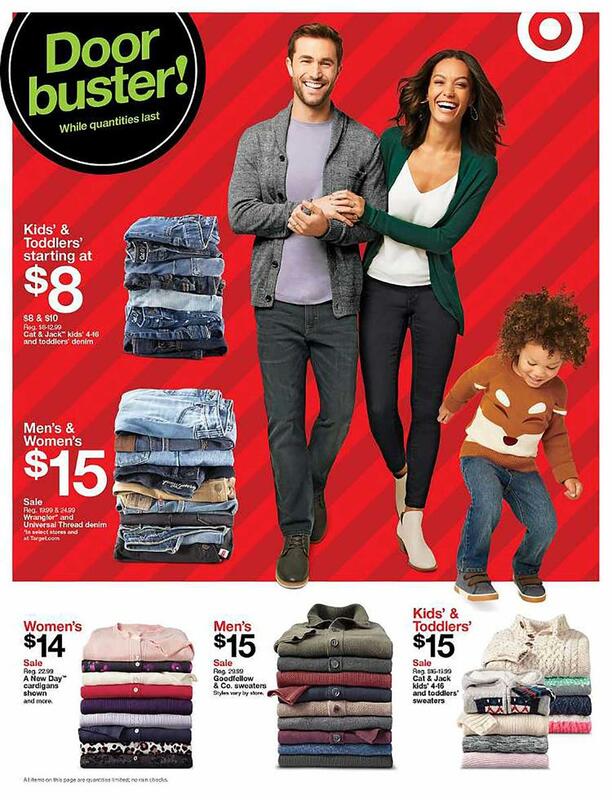 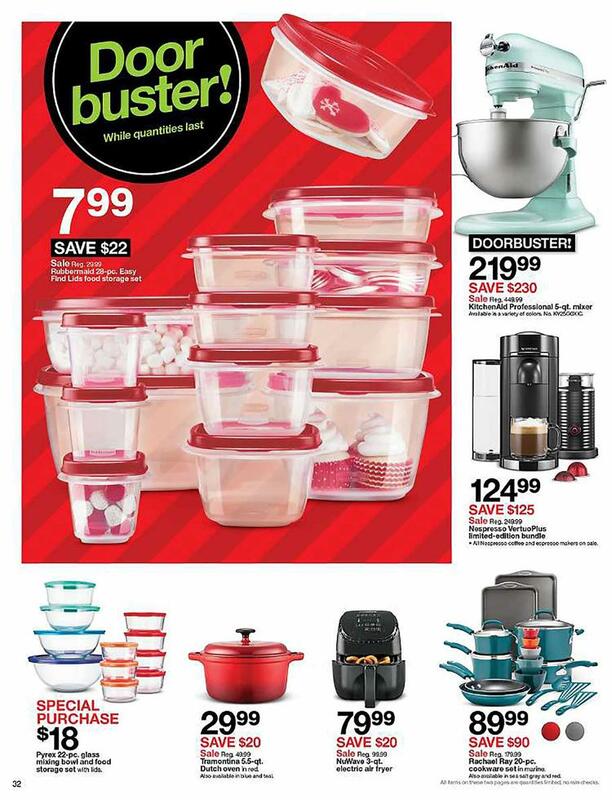 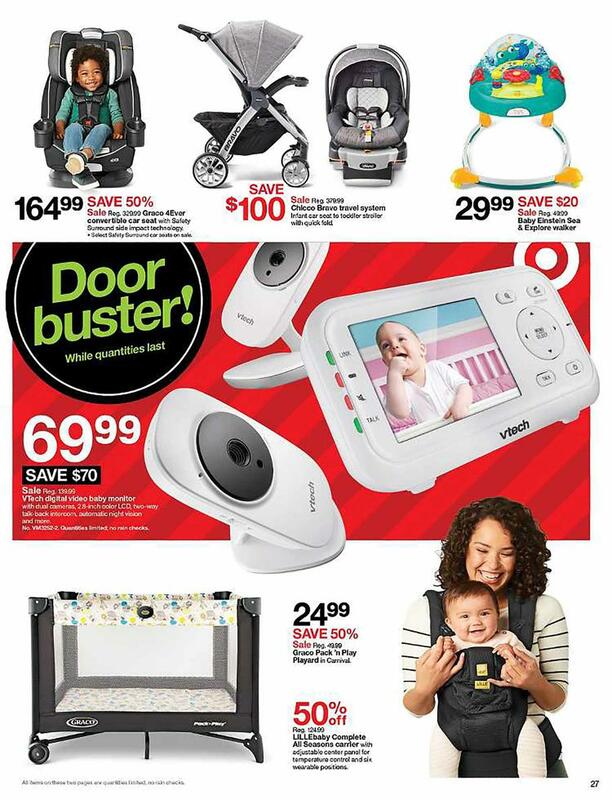 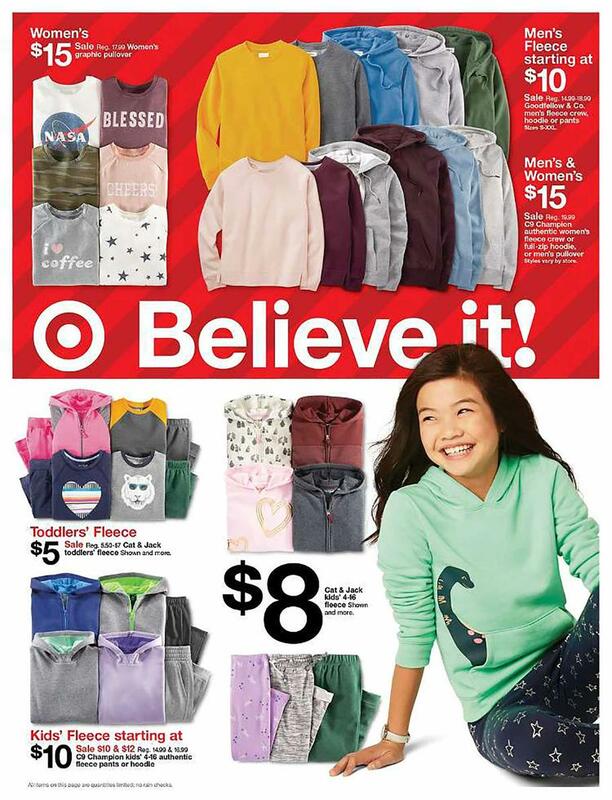 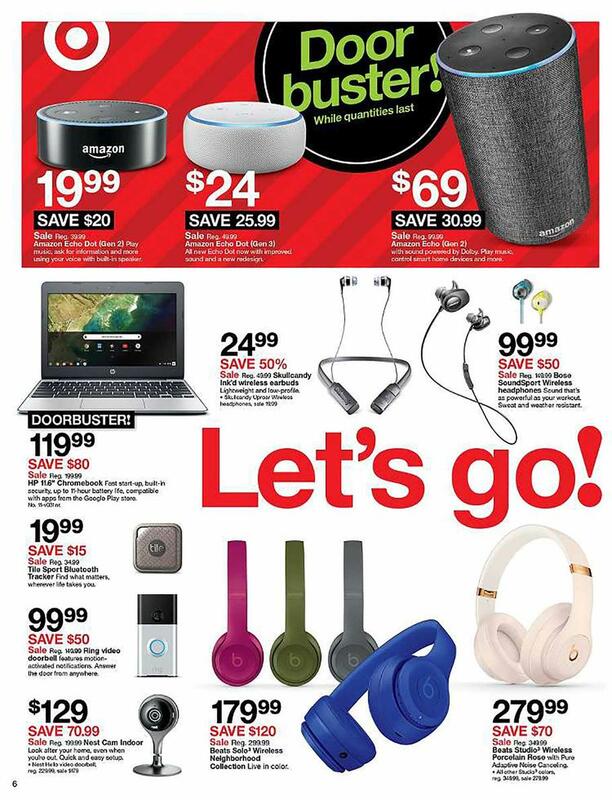 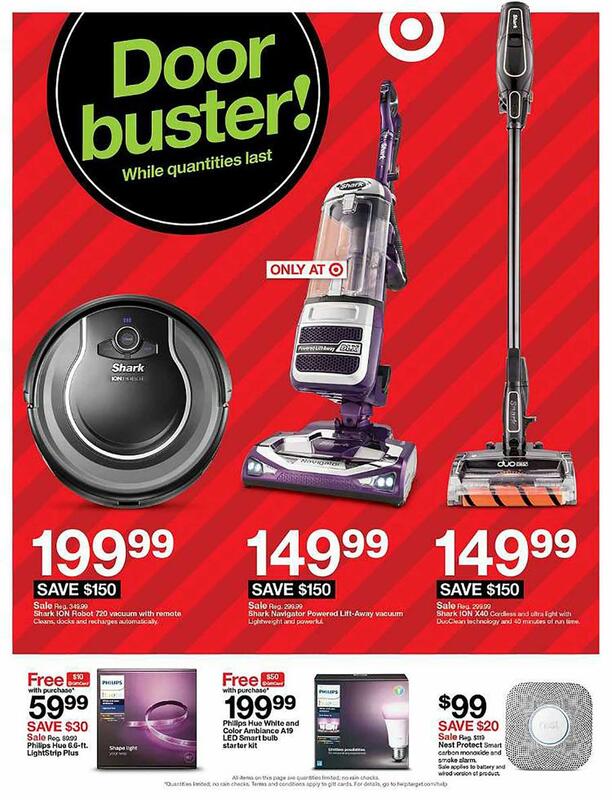 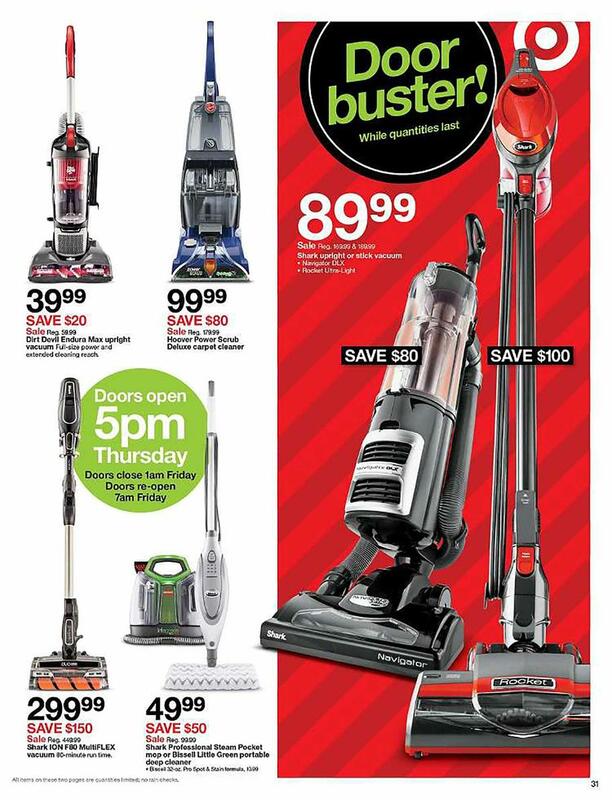 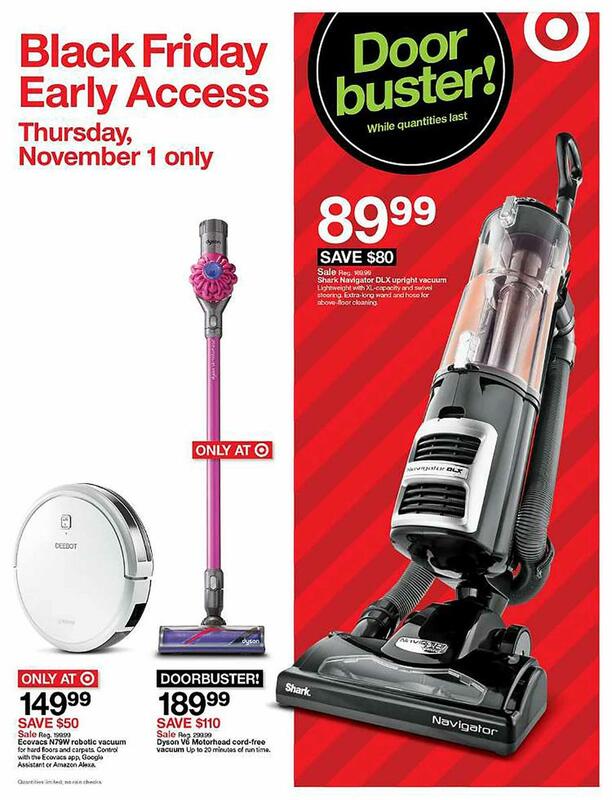 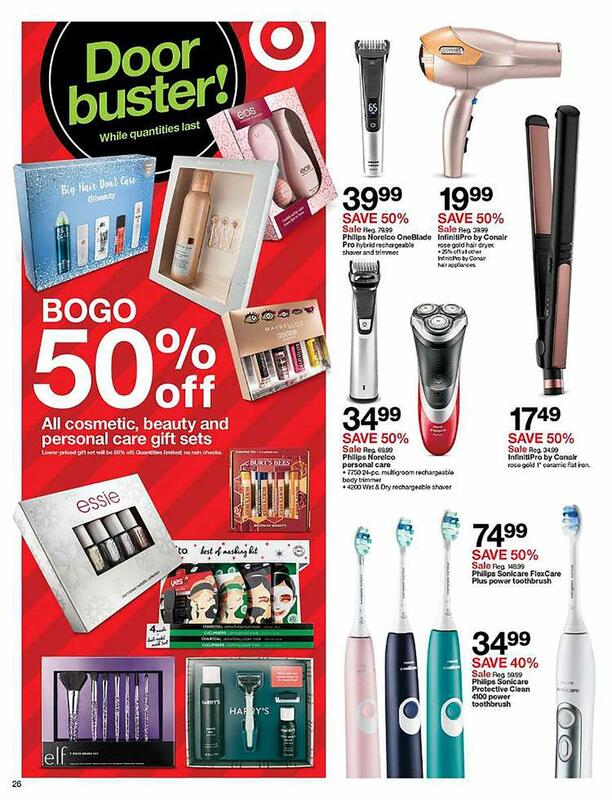 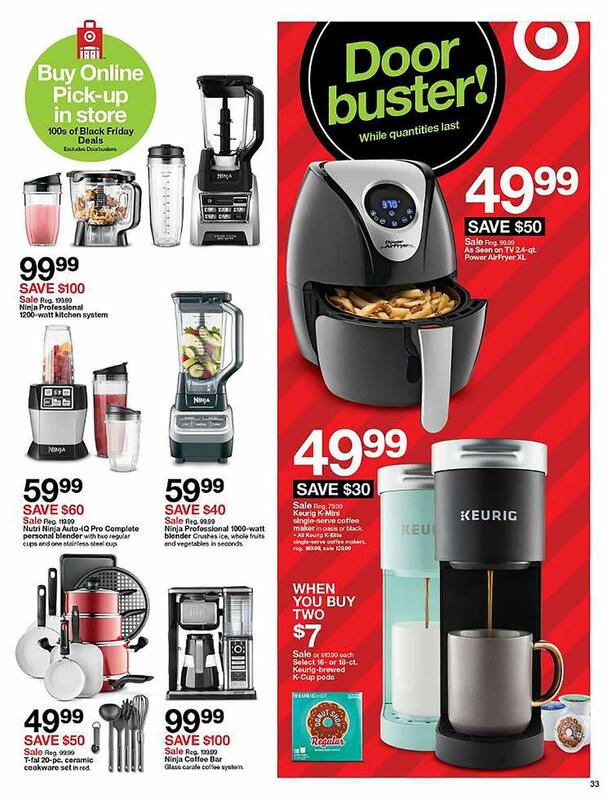 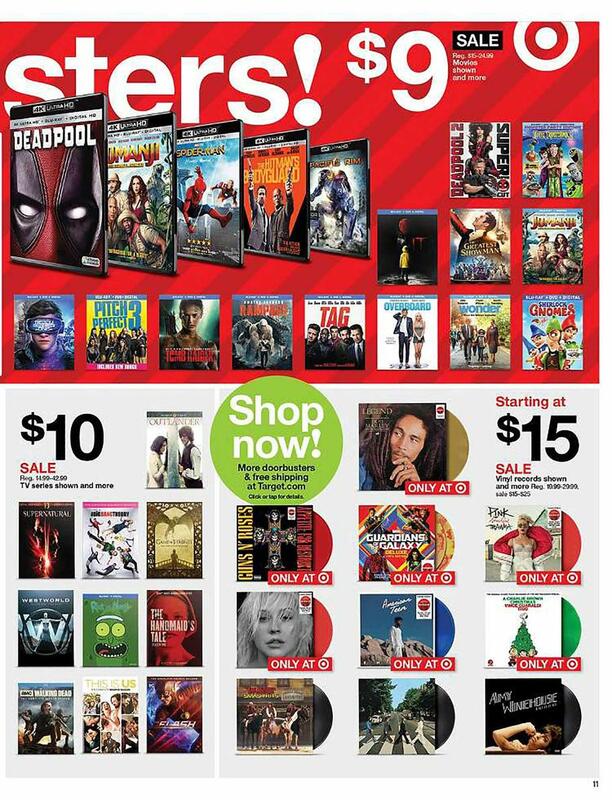 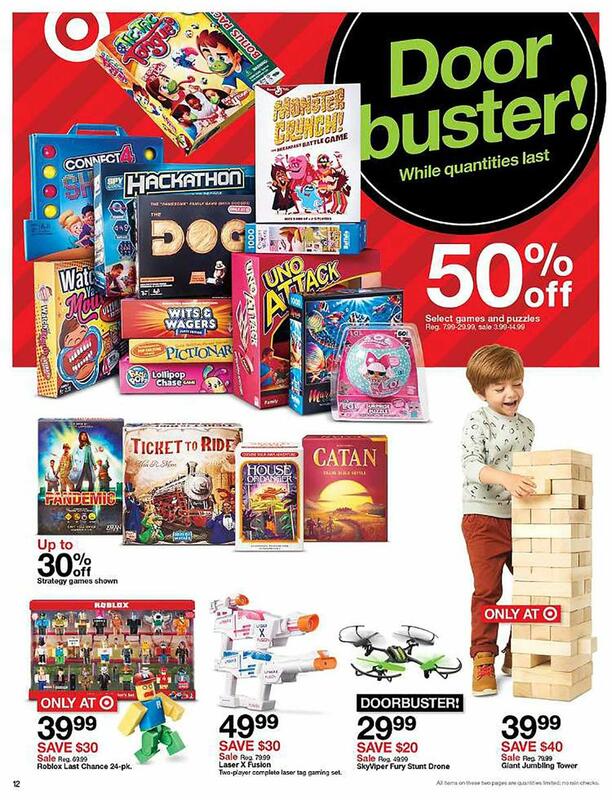 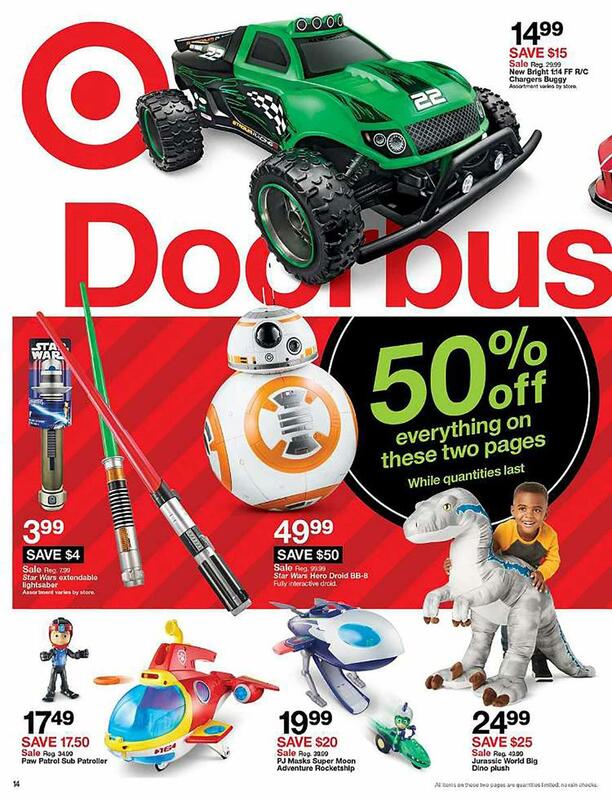 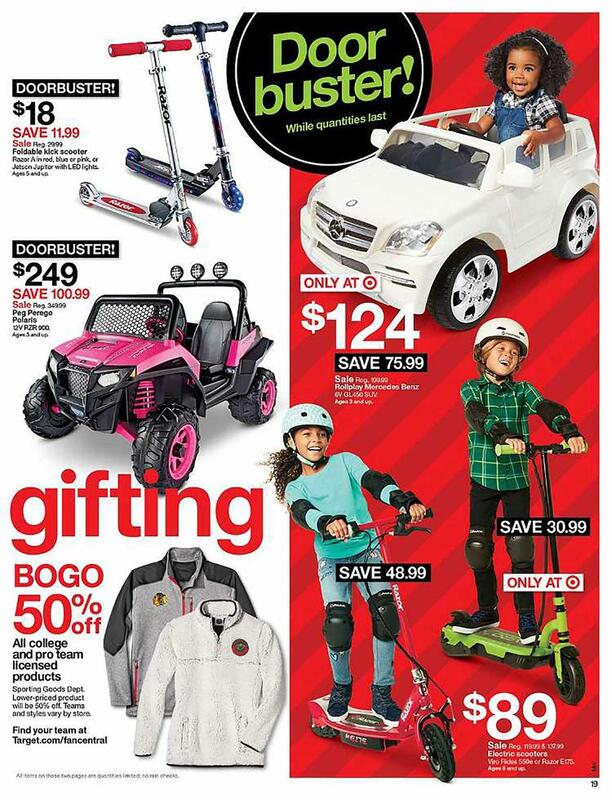 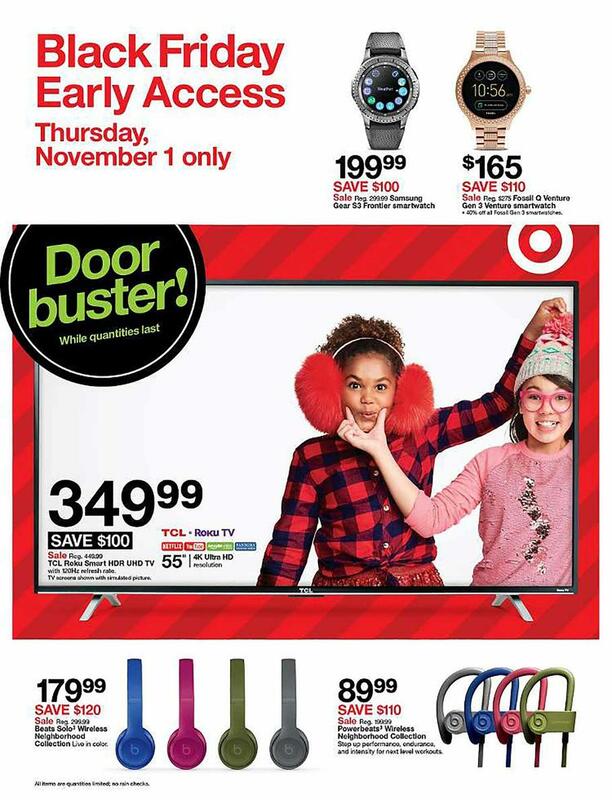 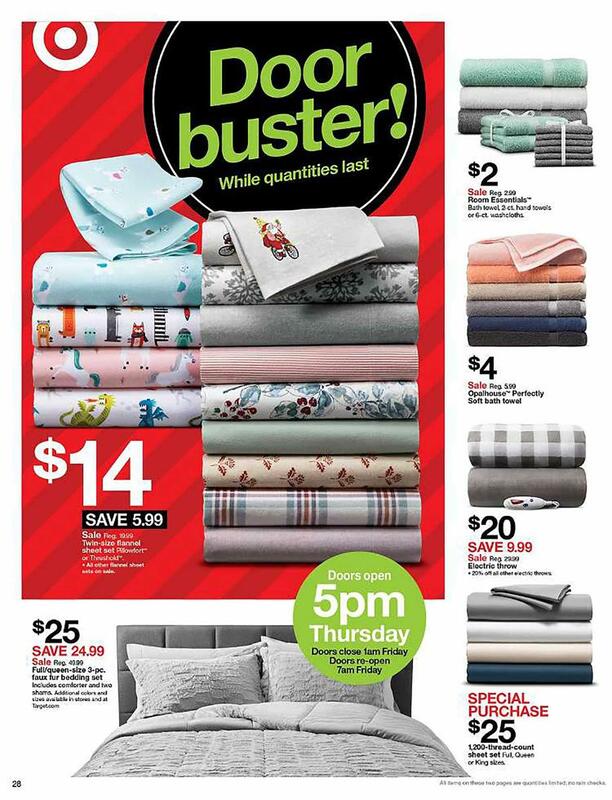 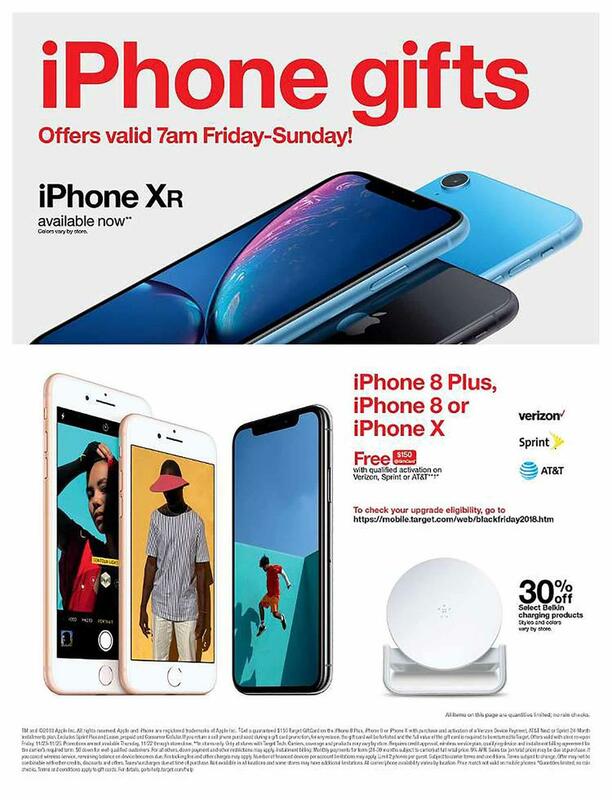 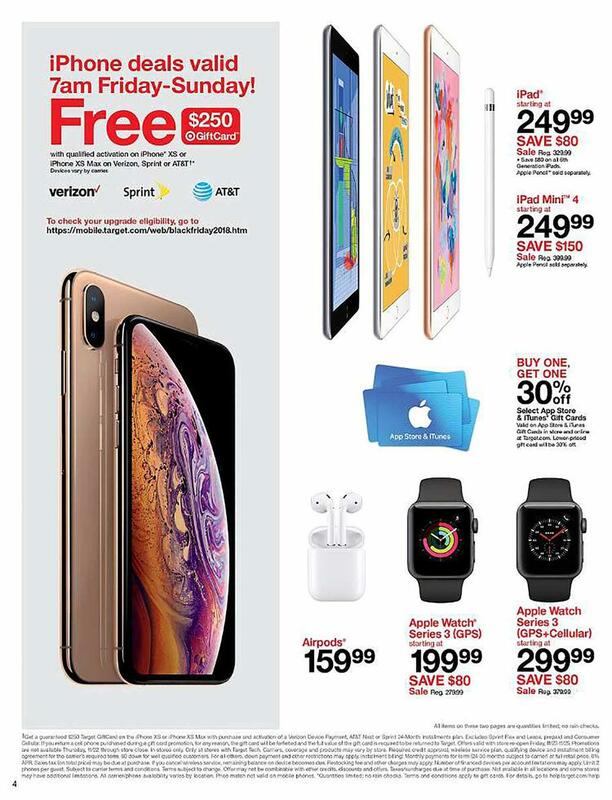 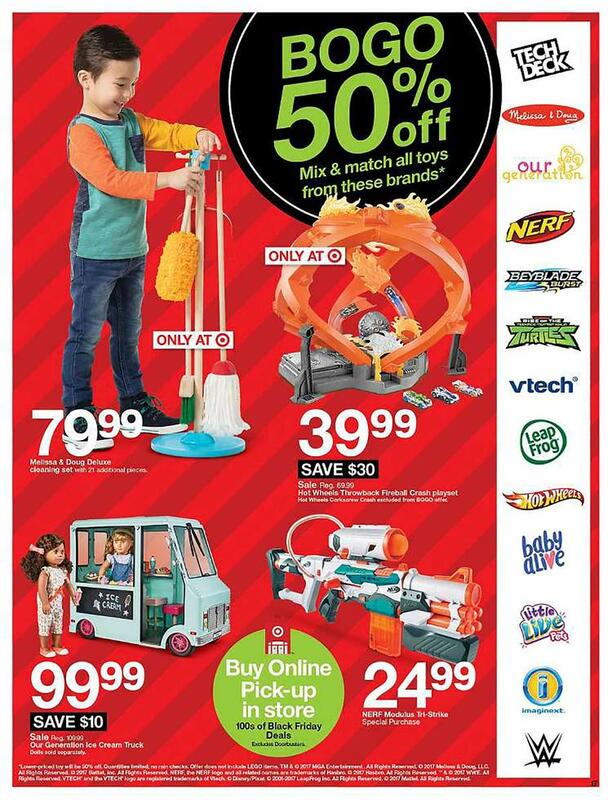 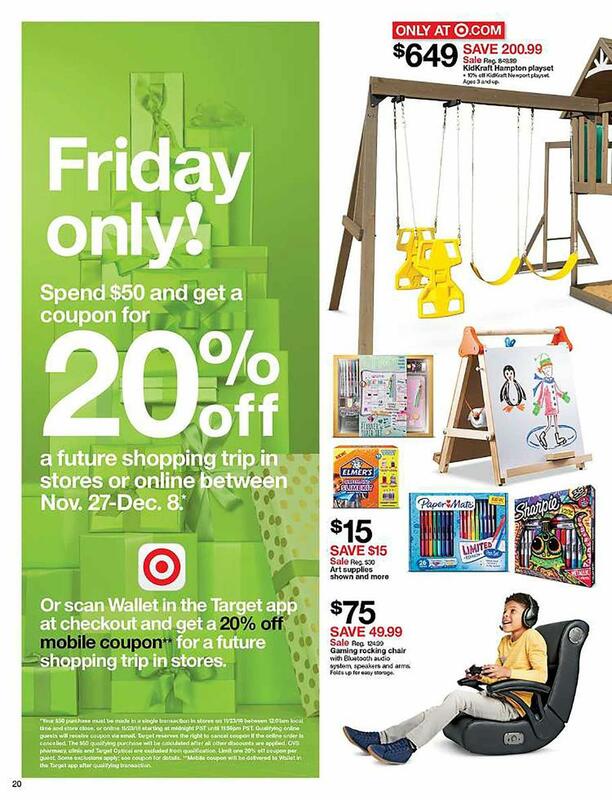 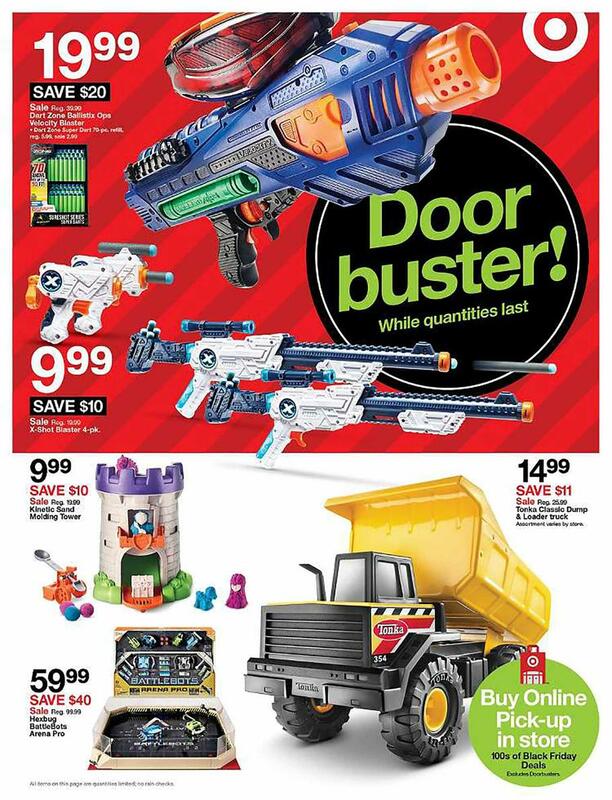 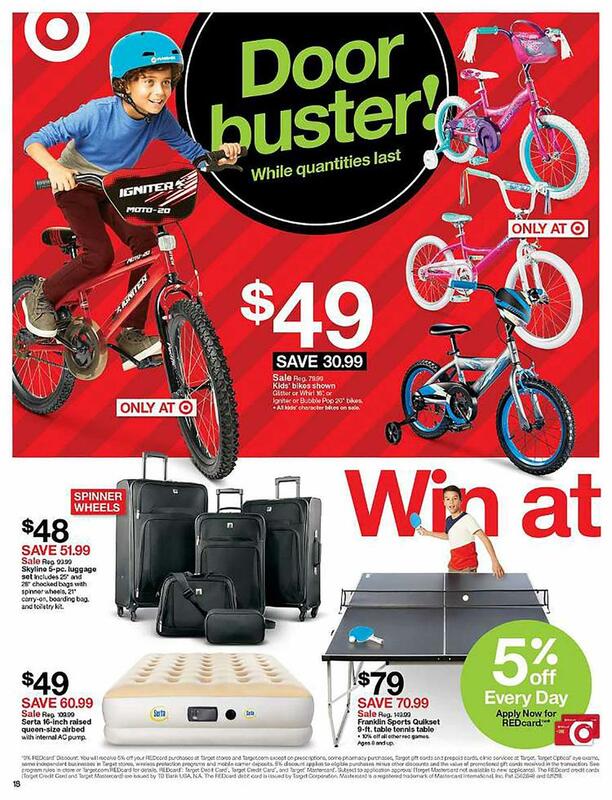 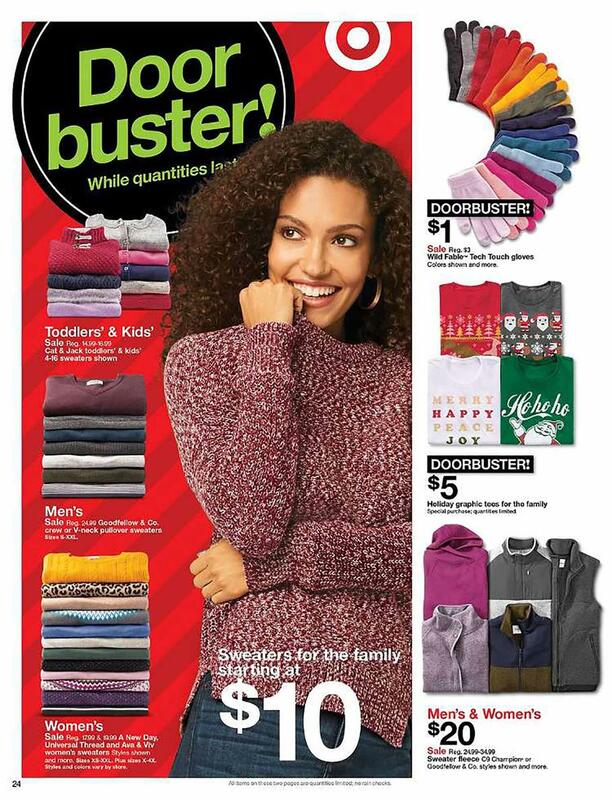 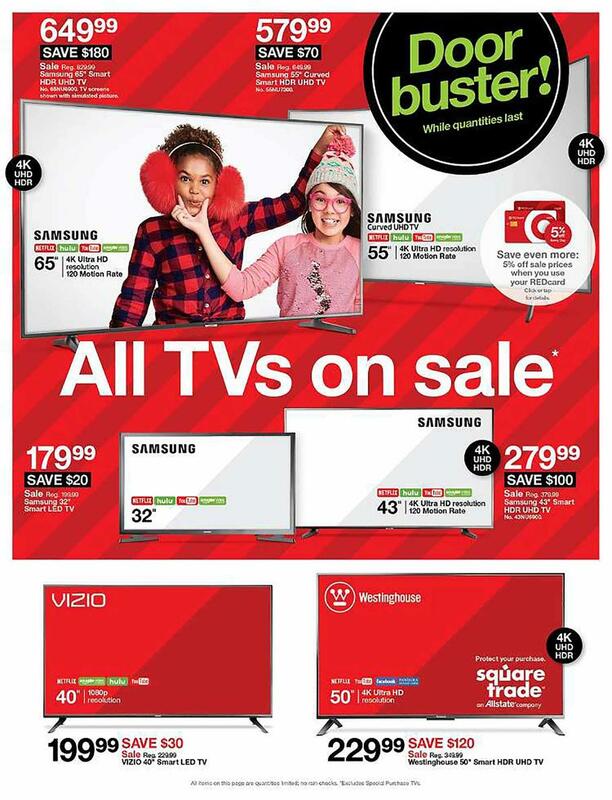 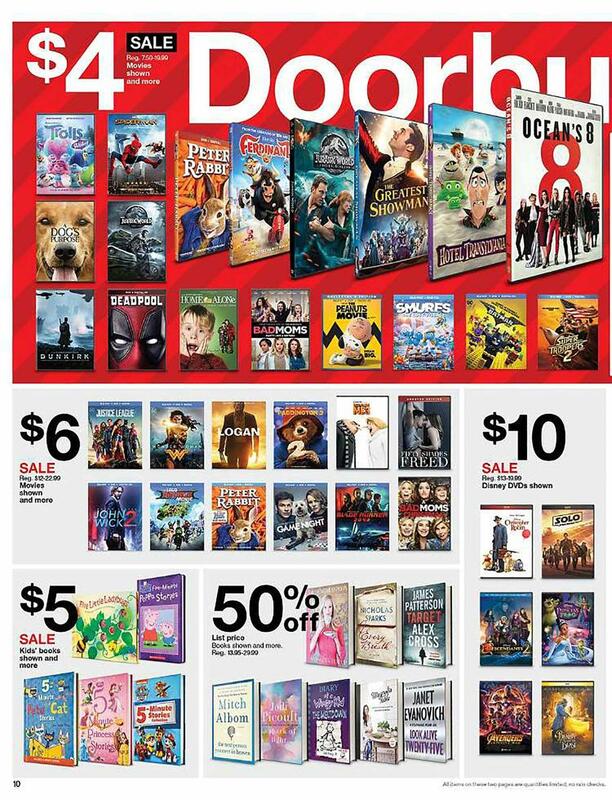 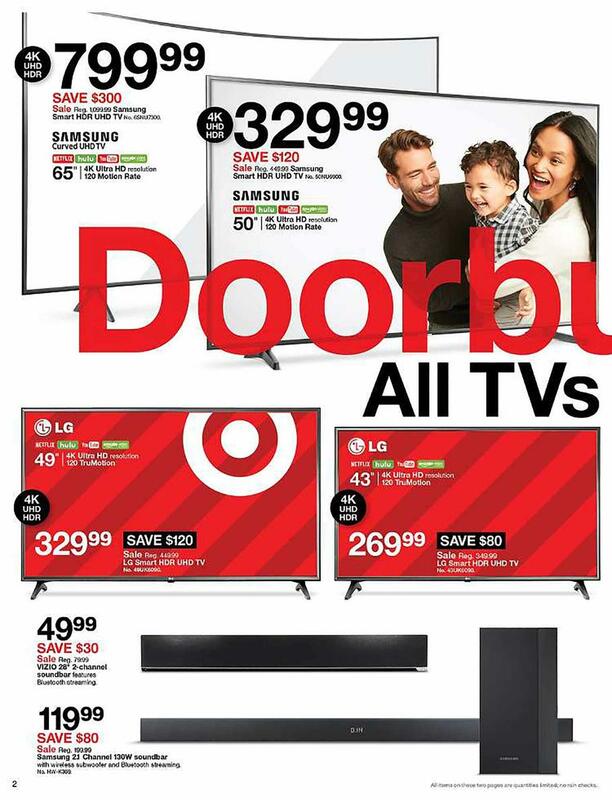 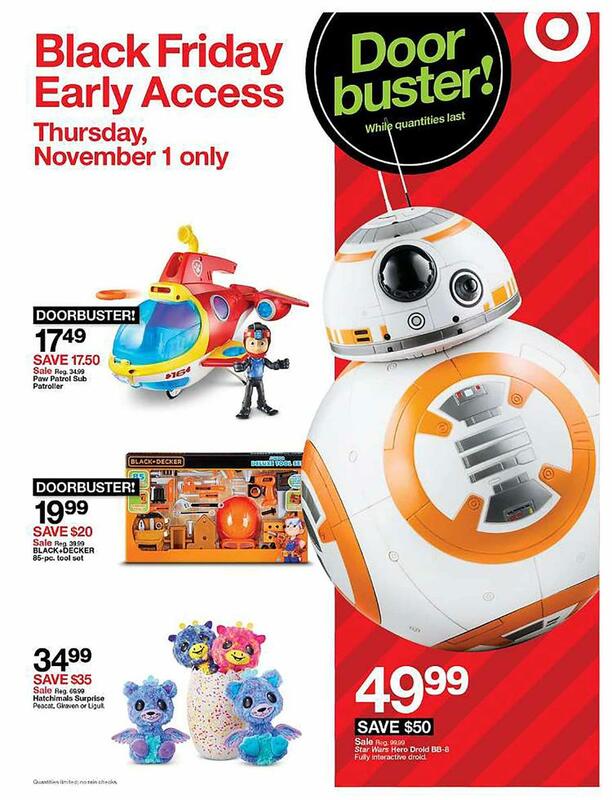 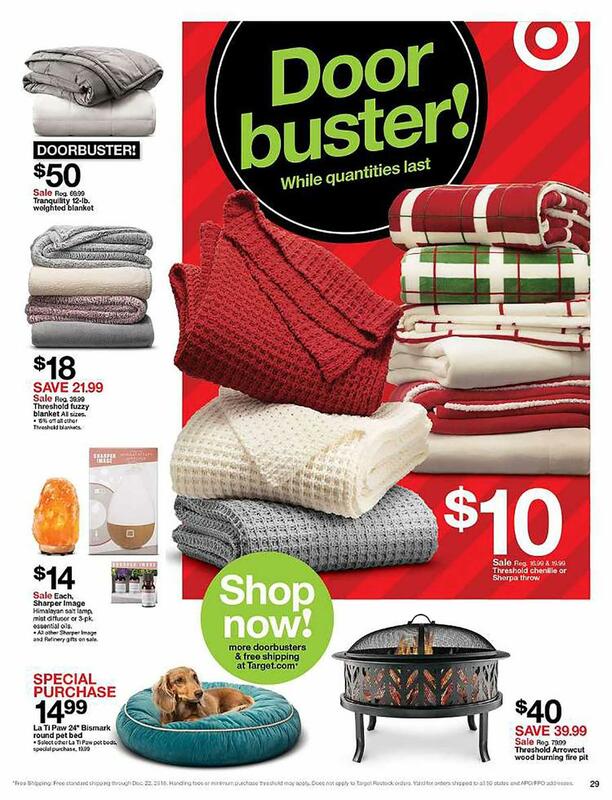 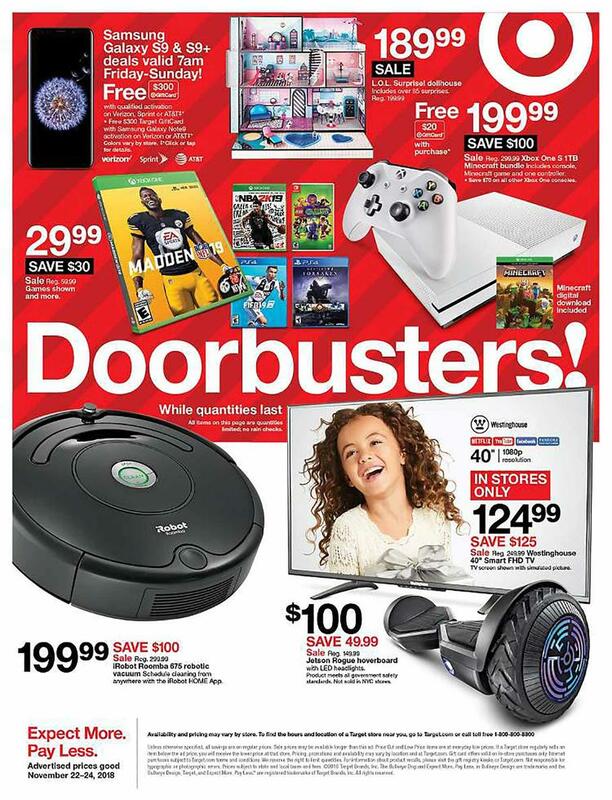 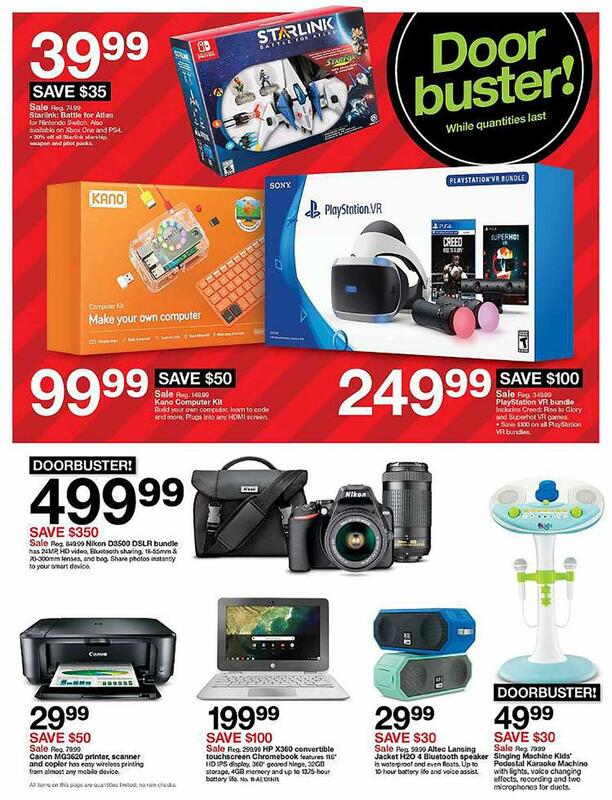 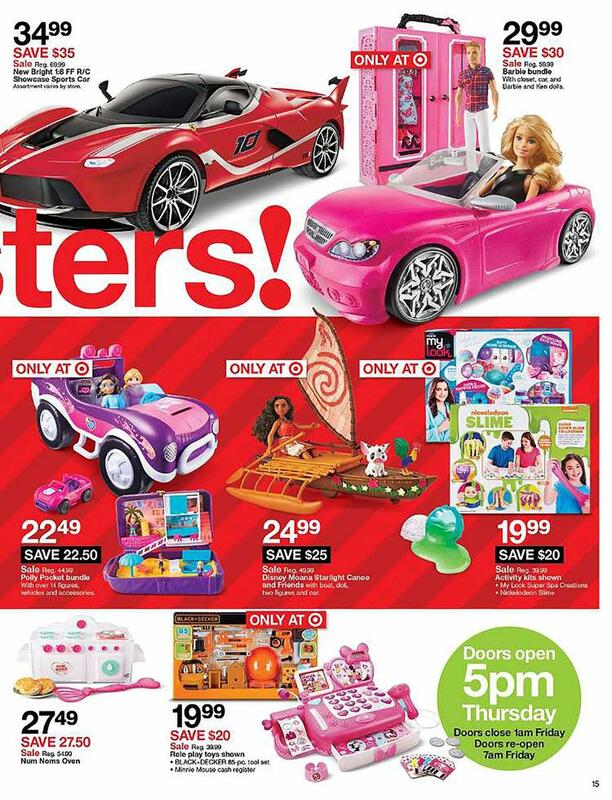 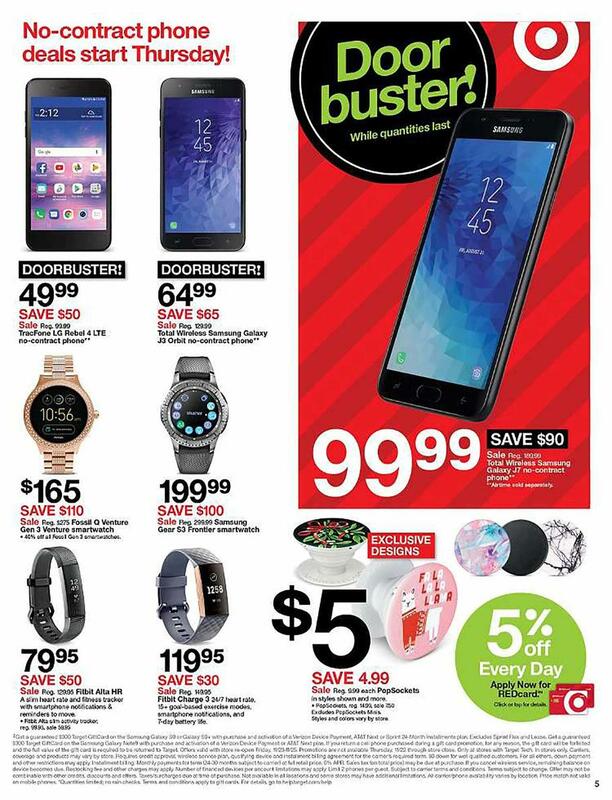 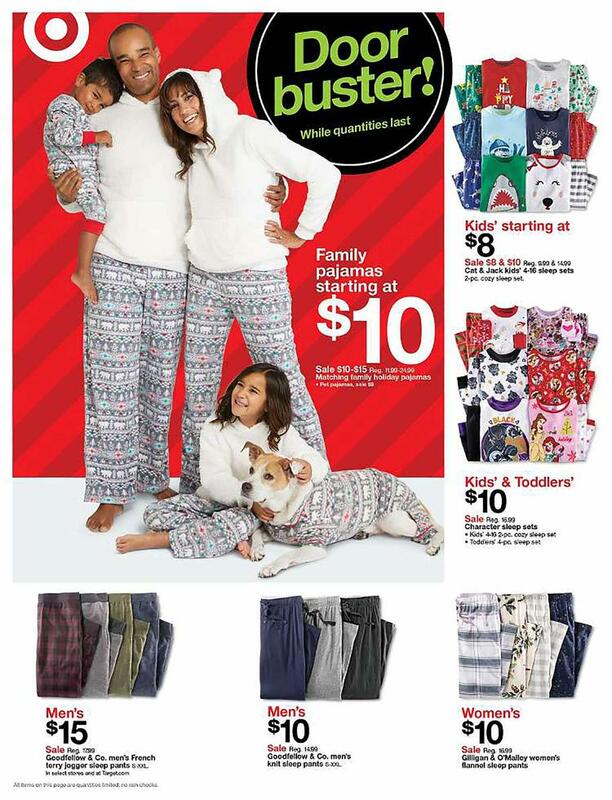 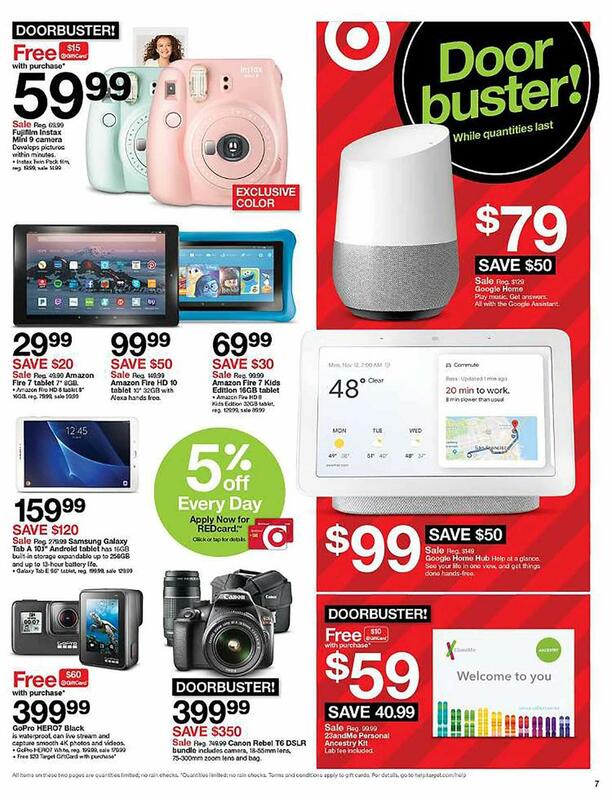 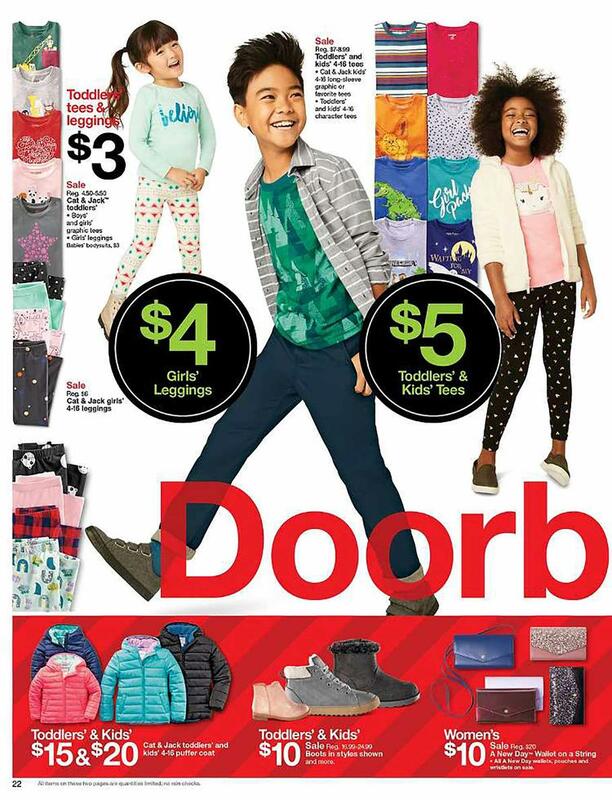 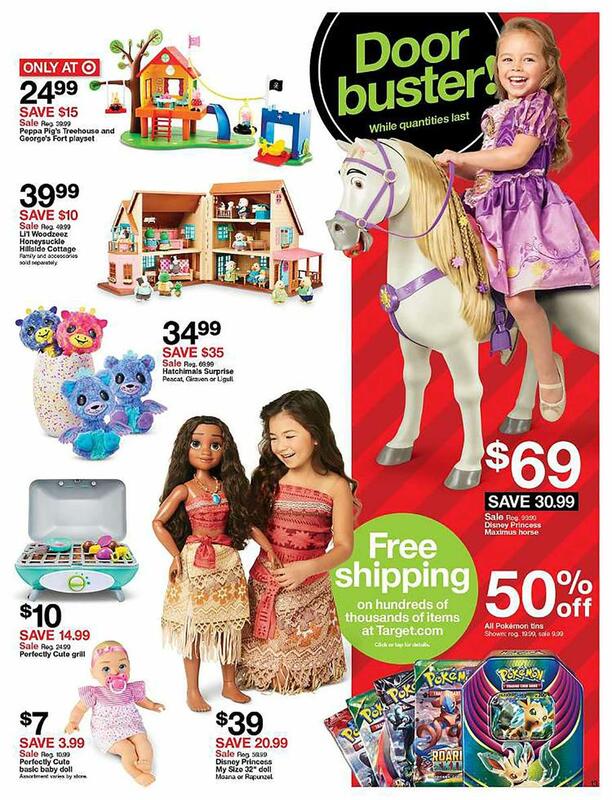 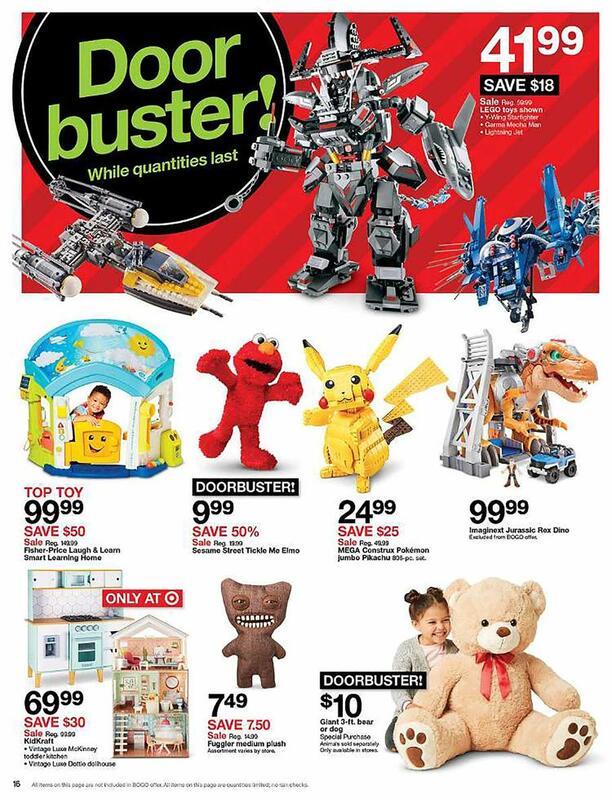 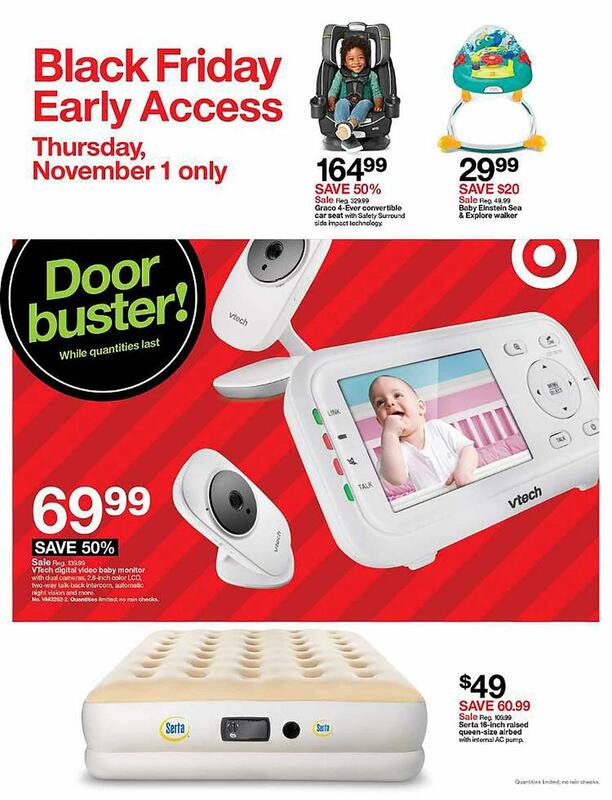 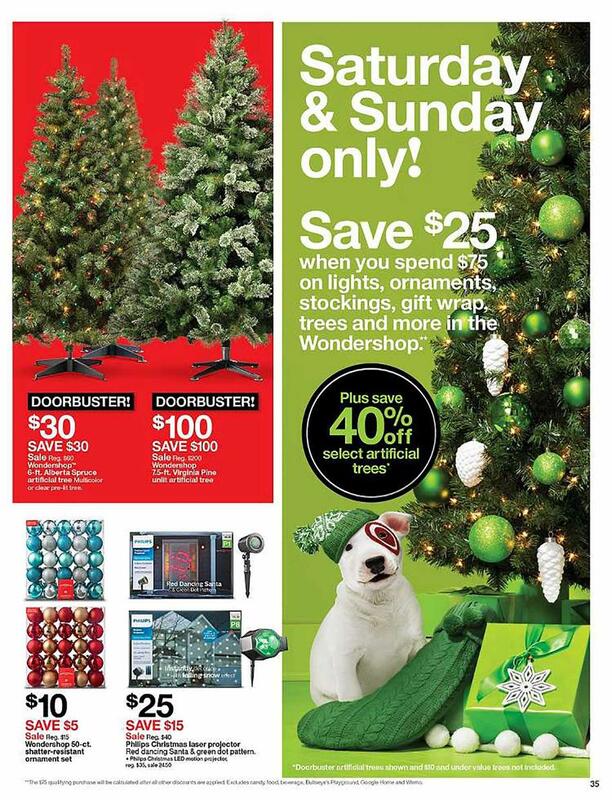 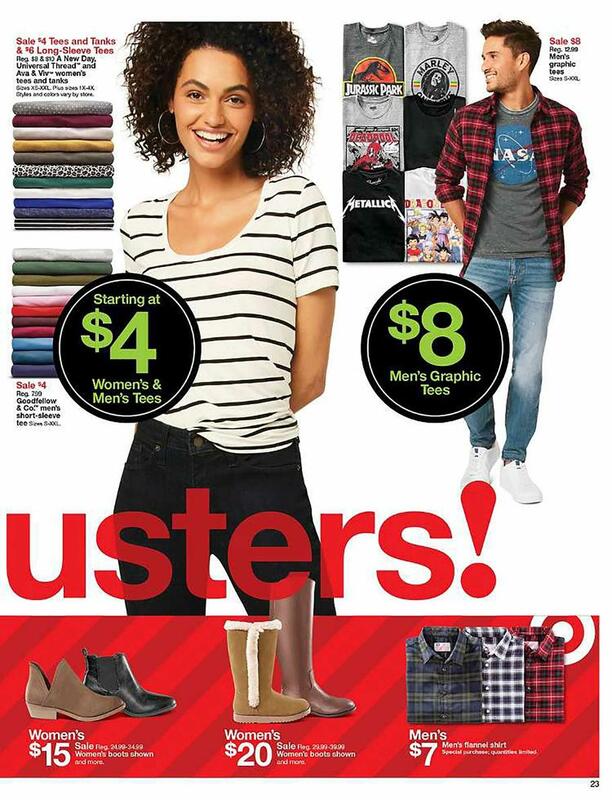 Check Out Target Black Friday 2018 Ad, deals available 5PM Thursday – offline and 12PM Thursday – online. 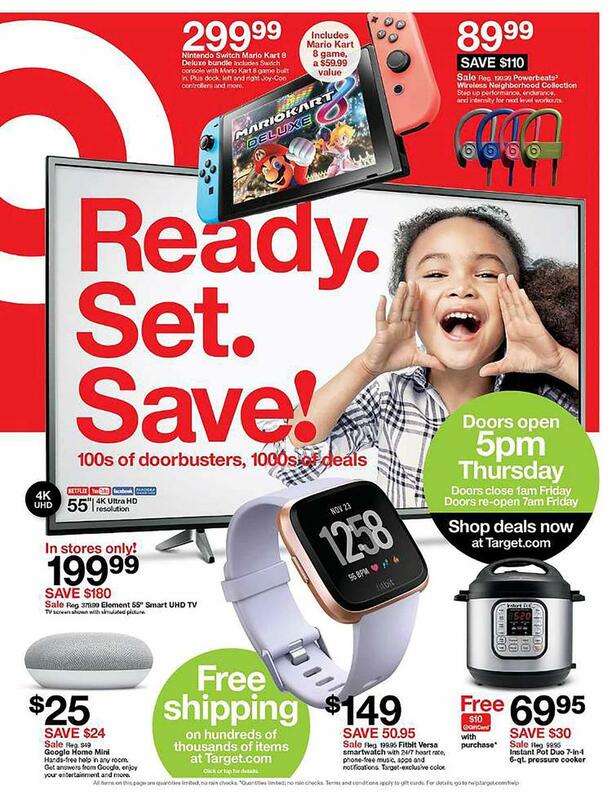 Save with this year Target Black Friday deals on Nintendo Switch Mario Kart 8 Deluxe Bundle, Fitbit Versa Smartwatch, Instant Pot Duo 7-in1 6-qt. 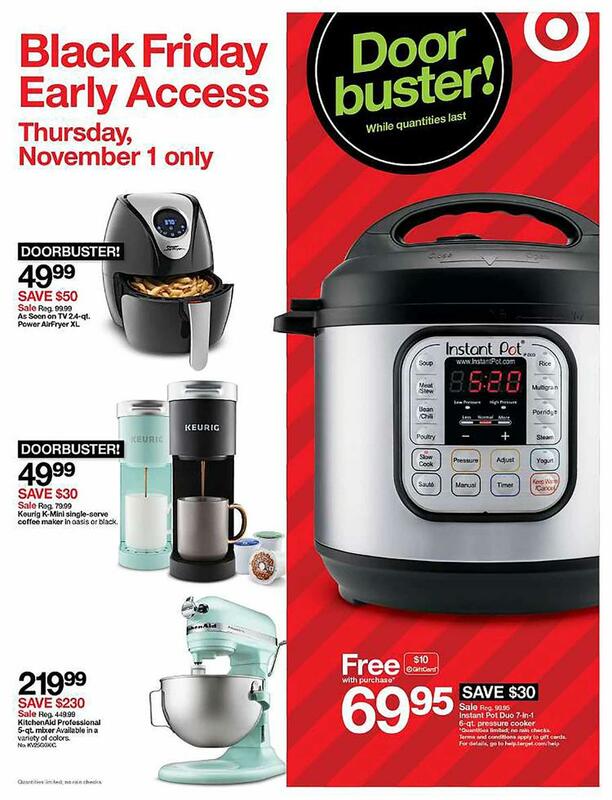 Pressure Cooker + $10 Target Gift Card, TCL 55-inch 120Hz Roku Smart HDR UHD TV, VTech Digital Video Baby Monitor, Paw Patrol Sub Patroller, Black+Decker 85-pc. 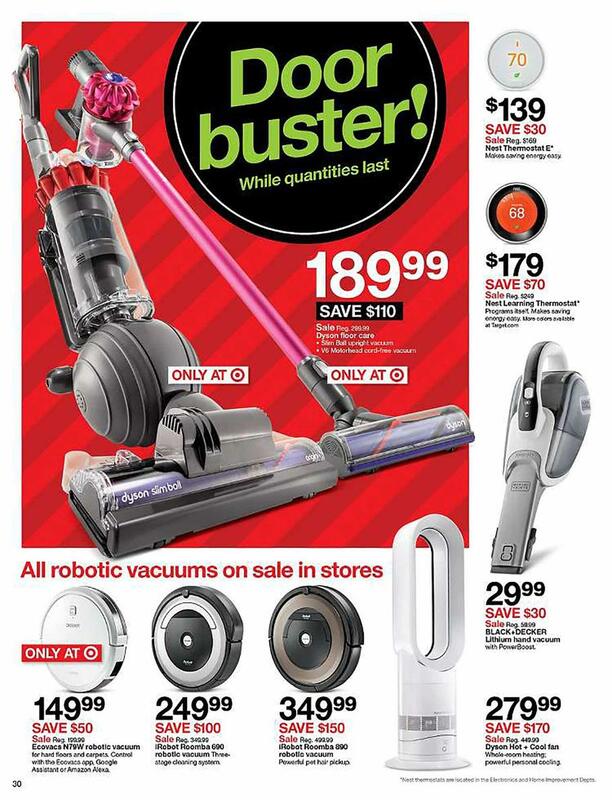 Tool Set, Hatchimals Surprise, Star Wars Hero Drold BB-8, Shark Navigator DLX Upright Vacuum, LG Smart HDR UHD TV, Samsung 2.1 Channel 130W Soundbar and lots more!